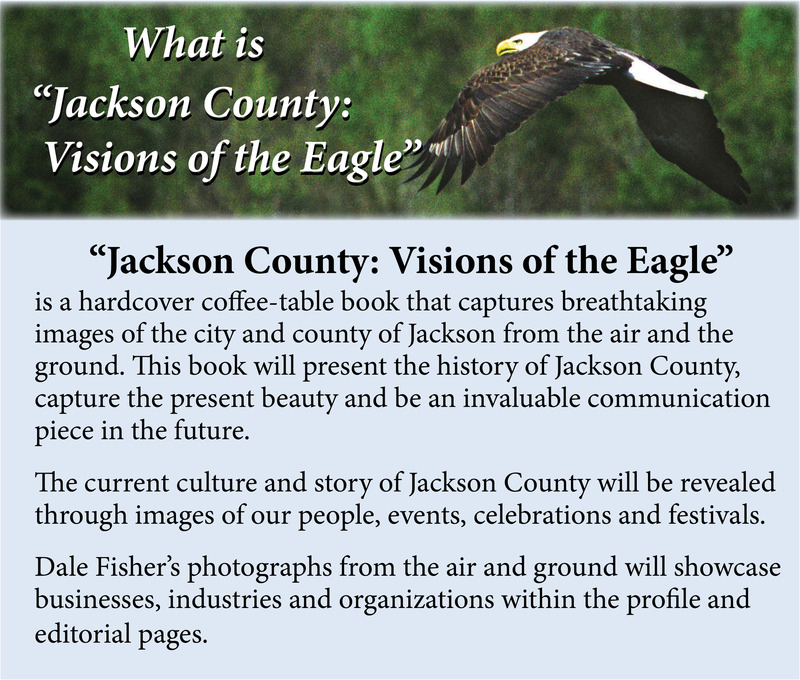 Note: Jackson County Visions Of the Eagle is now On-Sale! Order your copy here! Keep scrolling through these pages to view a sampling of the photographs and to learn more about this beautiful full-color coffee table book showcasing the area from Dale Fisher’s unique “Eagle Eye” perspective. Dale has been in the sky,… High altitude photograph of Clark Lake Reunion Regatta in background. Clark Lake sparkles at the Reunion Regatta. Many multicolored hobies seem to glide over the lake in the Clark Lake Regatta. 2014 Clark Lake Reunion Regatta Hobies. This Spartan balloon flies high over greenery in the Jackson Hot Air Jubilee. Remax Mid Michigan hot air balloon takes to the sky at the Jackson Hot Air Jubilee. City of Jackson is in the background as several hot air balloons take to the sky from Ella Sharp Park during the annual Hot Air Jubilee. City of Jackson in the fall. Spectators surround the battle field watching intently at the Jackson Civil War Muster Smoke rises after shots are fired during the Civil War Muster reenactment. Jackson College. Jackson County: Visions of the Eagle Sponsors understand the value of this awesome communication piece. Dale was busy on the ground 4th of July weekend taking lots of photos for Jackson County: Visions of the Eagle. This was at the Brooklyn, MI parade. Keep checking our website…. More photos & information soon.